Introduction. Chapter 1: Cameras and Lenses. Chapter 2: Exposure Essentials. Chapter 3: Shooting Sharp Images. Chapter 4: Light and Color. Chapter 5: The Power of Flash. Chapter 6: Photographing Flowers. Chapter 7: Special Photo Techniques for Butterflies and Dragonflies. Chapter 8: What’s in Our Camera Bags? Appendix. 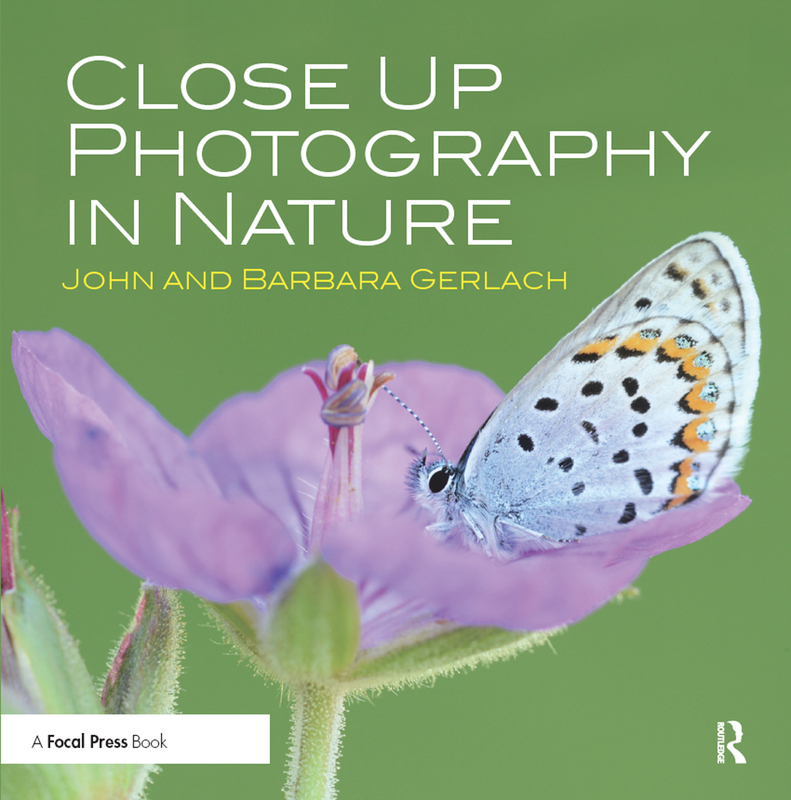 are founders of Gerlach Nature Photography, they are professional nature photographers. Their pictures have been published in National Wildlife, Sierra, Natural History, Petersen’s Photographic, Ranger Rick, Birder’s World, Michigan Natural Resources, Audubon, Outdoor Photographer, and Popular Photography, as well as in books published by National Geographic Society, Sierra Club, Kodak, and wrote Focal’s own Digital Nature Photography and Digital Landscape Photography.